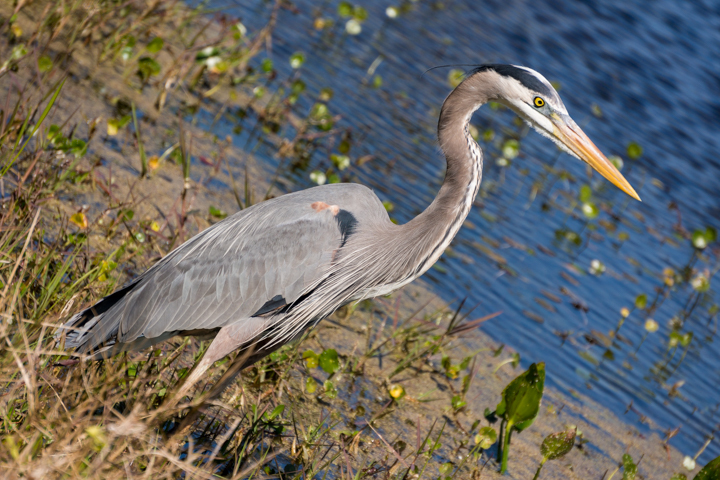 The great blue heron (Ardea herodias) is the largest heron in the Americas, however it is smaller that the goliath heron (native to Africa). Given the name goliath heron the great blue heron's slightly diminished size shouldn't be too surprising. Even with its less than goliath state it is an absolutely gorgeous bird. I snuck up on this one wading around the Orlando wetlands (A wonderful place to visit if you have an interest in water birds). There is a species of herons in south Florida called the great white heron which I hope to be able to take a picture of some day.